Home » Gardening » A Weed Free Vegetable Garden! A Weed Free Vegetable Garden! My neighbor Richard is awesome and he let me use his garden for this presentation. Last fall I helped Richard pack his garden with donkey manure and other compost from my compost pile. We put at least two or three ton of manure and compost into his garden. Then I tilled it in with the big tiller on my tractor. I tilled it once in the fall and at least twice if not three times this spring before he planted. But along with beautiful soil come weeds and lots of them. Richard did something really, really smart. He used the same nursery ground cover cloth that we use in the nursery to place our containers on. He rolled it out and completely covered his garden with this ground cover fabric. No, not the cheap stuff you can buy at the stores! It’s what we use in the nursery. Just search for nursery ground cover cloth and buy the heaviest, most pricey one you see. Hint, hint, you’ll probably find it on Amazon. Richard covered his garden completely anchoring the ground cover down the staples that they sell with the product. Then he did something else really smart! He started his vegetable plants in pots so they were nice and big before he moved them into the garden. To plant them he simply cut a slit in the ground cover material and planted through the ground cover cloth. Presto! The plants took off growing like crazy! The ground cover cloth actually helps to trap in some moisture and at the same time keeps the weeds from growing. As you’ll see in this video, his garden is beautiful! If you are thinking; “Wow! This stuff works great, I think I’ll use it in my landscape.” Know that I am warning you now. If you put topsoil or mulch over top of this fabric it is not going to work like you think it will. Eventually it will become the most disastrous weed fest imaginable! Trust me on this. Any kind of weed barrier fabric covered with soil or mulch will grow weeds and the weeds will root through the fabric and it will be next to impossible to pull up the fabric because the weeds will have it anchored down. It turns into the biggest mess you can imagine. And there was no soil on the fabric! But the weed seeds blew in and germinated on top of the fabric then rooted into the soil below the fabric. When you mulch over weed barrier fabric the mulch breaks down and eventually becomes beautiful topsoil. Weeds grow perfectly in beautiful topsoil! But when that happens on top of weed barrier fabric the weeds actually knits the fabric to the ground and cleaning up that mess is more work than you can imagine. I’ve done it way too many times to count when I was re-landscaping homes. I don’t make this stuff up! Everything that I write or share is based on my real world experience crawling around in the dirt on my hands and knees. You can take advice from me, or you can listen to those who quite simply lack real world experience. Questions, comments or mean things to say? Post them below and I’ll respond appropriately. Just keep working in as much leaf compost or other compost that you can. Eventually you’ll have awesome soil. mo yost: I’ve used vinegar many times, works best in very hot weather. It just costs a lot. There’s even a formula online that adds salt; it works okay. The vinegar works and is safe compared to roundup weed killer, especially for use in vegetable gardens. I’m turning to cultivating early and promptly when I see weeds in my garden. In my other garden I would like to use billboard plastic directly applied to the ground. In Herrick Kimball’s mini-beds on plastic blog, he presents his own experiment using billboard plastic and it has seemed to fare extremely well! Much, much, much better than garden cloth, of course, with the purpose of keeping weed-free. I’ve used wood chips and that works very well and feeds the soil as well, by degrading. Mike – Longtime follower. My problem with weeds is the horsetails. You can pull and not get all the roots, spraying only kills only the top. Do you know anything about this weed and how to get rid of it? It only grows in one area of our yard and seems to worse every year. Any help would greatly be appreciated. Outdoor carpet works well for me and it lasts for years. Of all the coverings, I’ve never heard of that one! Bet it works for many years! It can’t nourish the soil by degradation, but will keep the weeds gone, and moisture in. I used landscape fabric to kill the grass in walkways I created or foundation beds I wanted to extend, which it did effectively. My mistake was in leaving it on the beds long after the grass was gone, replaced by a tangled mass of weeds, mulch and fabric. The stuff is miserable to try covering up later on if the edges pop up through the mulch. To control weeds between the narrow rows of my little vegetable garden I lay down newspaper layers covered with dry grass clippings. I would use old hay if I had a convenient source for it. Hay often has lots of seeds in it because it’s cut in the field at varying stages of maturity. Straw is a better bet, because the grain is harvested first, then the stems and leaves made into straw even that won’t be 100% seed-free, but much fewer. Thank you so much for giving us all this great information! A heavy layer of mulch or free wood chips might be a better option in the berry patch. I have a question about the compost, Mike. I thought that if compost was well-cured, the heat from the pile would kill the weed seeds. Are these just some kind of super-weed? Or was I misinformed? Judy, that is partly true but you just can’t control how many weed seeds blow in. 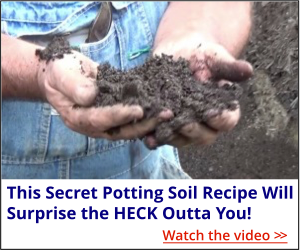 You can completely sterilize soil killing all the seeds in the soil and in a matter of days have a weed patch. Thanks Michael, I’ll Duston look into it. Years ago, I used the landscape fabric to help control the weeds in my planters. I regretted it within two years. The weed roots were too much. On with the Roundup and a lot of pulling using using my potato rake. It took years to get all of it out. NEVER AGAIN! I caution my neighbors when I see them put down the fabric. They still do it. Later they regret it. Thanks for sharing your valuable experience. I hope others listen. My parents are from Europe and have used old carpeting for a weedfree garden for years. I am now doing this. After the garden is put to bed for fall/winter, we use old carpets/rugs and cover until we are ready to plant next spring. Old carpets are free and we roll them up and use again next fall. In the spring the garden is weed free and reasy to plant. I’ve heard of people doing that but one our members, http://backyardgrowers.com/join once used old carpet in a greenhouse and it got moldy and created all kinds of health issues. Outside in the air I’m sure it’s fine, but I just want to put this out there so folks know. Except for the “roundup”, I DO NOT put cancerous chemicals on my garden. But, we did do one thing to help us control weeds, that you didn’t mention; and it wasn’t letting the goat in to graze the greens.. We got the roto tiller out two to three time, during the dead of winter.. YES, we tilled the half frozen ground, just before a good freeze was on it’s way. . . Usually we would mulch really heavily, the second or third time we tilled..
Till the ground really good, mulch 4 or 5″ on top of the lose dirt, and till the mulch in… Us kids always got to go do something special after the second and third times we tilled during the winter. .
You are spot on about this landscape fabric being a pain in the whazoo! I covered the whole garden area with it, but here is what I did differently. I put raised beds on top of this fabric and found it has two advantages: one, the soil of 8-12 inches is too deep for most weeds to penetrate both the barrier and the soil, and secondly, because the fabric slows the release of water from the raised bed, you don’t have the problem of having to water the bed more because it is raised. Hope I am making some sense here. Where I went wrong was thinking the area between the beds would look better with shredded tree limbs from the local tree service guys to hide the black plastic fabric. Looked good for a couple of years, but now, if you are diligent and pull the resulting weeds early you can keep ahead of it, but some grasses are pretty stubborn. Thanks Ed, it’s all a lesson isn’t it? That’s how we learn. I use a hand held Benzomatic torch and a homemade planting template to burn 3 inch circles in my 4 foot wide landscape cloth for planting. Previously, I cut slits in the fabric but this year I burned holes to see which method I prefer . Each year I move the landscape cloth to a different section of my garden. I prefer both sides of the landscape cloth to be smooth because the dirt clings to the cloth with the fuzzy back. Thank you for making this video. I like the torch idea for making the holes. I’m really confused now, used landscape fabric or not??? My garden was quite a chore this year with weeding, so looking for smart solution, I also use my own compost pile which produces tons of weeds but good dirt. I have another question, I have had for the past 3 years had black spot on my tomatoes, so after July my harvest is done. I’m reading i have to get rid of my dirt??? I have 4 4 x 12 beds, thats a lot of dirt to get rid of??????????? Use the fabric but don’t put soil or mulch over it and pick it up at the end of the season. Black spots on your tomatoes? I really don’t think it’s the soil, probably has more to do with air circulation. But I’m not expert. “Spot ” on, re tomatoes. The extended periods of humidity we’re currently getting being major contributor. Couple with crowding plants and you get the fungal stuff that that the ‘other’ Mike refers to, Experience speaking here. All else — soil health, nutrient balance — being as they should be, if it’s not blossom end rot (calcium deficiency), it’s because of not enough air circulation. Your willingness to share experience and tips is greatly appreciated. Keep on keepin’ on! That sounds like tomato blight to me. My experience with tomatoes has been that you can’t replant them in the same spot for more than about 2 years because of a virus that gets into the soil. Look it up on the internet for more info, and match what your disease looks like with the pics there. There are other viruses that can affect tomatoes as well. However, try moving your tomato plants to a new location where you have not grown tomatoes or any plant in the same family before, and you’ll probably begin to have good luck with them again. Just remember to move them around and not replant in the same spot. If that doesn’t help, another option would be to buy disease-resistant varieties. I use just plain old shredded mulch about 8” deep between rows and around 4” on top of rows between plants. Replace as needed each spring with no tilling. Works great for me. The few weeds that do pop up are easy to pull and quick in my 2,300 SqFt garden. Works great for me and it’s free. Thanks Keith, that’s another option. Your webmaster should learn proper css and html5. Your site looks like something designed by an idiot back in 1993. Thank you so much for your wonderful critique. My visitors, except you of course, seem to love this site and those are folks that we aim to please. There’s always one…..criticize without offering anything constructive. I’ll try to be even-handed, though. Some of the earlier sites don’t have spit and polish. Who cares? I certainly don’t come to your sites to see if they have the latest design techniques, but to gather information on gardening and propagation. 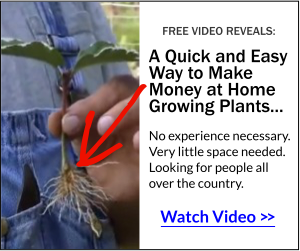 As an example, freeplants.com has an “old-fashioned” look to it, but damn, there are a lot of links there that point me to what I’m looking for! Because there is a very large volume of knowledge that you’re giving us access to, this is an easy to use format. I just do ctl-f and a search box pops up at the bottom of the screen, I enter the keyword I want, and if you wrote something about it, there it is! Simplicity itself. Aside from that, as always, thank you so much, Mike, for the invaluable information you share with us. I always read your emails and watch your videos. I appreciate your comments. When I built http://freeplants.com back in 1999 web designers told me that I was an idiot that you could never build an effective eCommerce site with Microsoft Frontpage. That’s all I knew so I trudged ahead. That site is almost 20 years old still ranks well in the search engines because of the valuable content. Me? I don’t go around the web criticizing other peoples web sites because I have better things to do. we’re gardeners, we care how our gardens look, we care if the web site ‘works’ not how many bells and whistles it has. we’re alleged adults looking for information, not spoiled children looking to be entertained. and hell, it’s not optimized for Netscape, we’re good. I have been following your posts and writings for some time and have found the best advice right here!Your presentation is super. We learn considerable great info from your d and misadventures!s. I have sent articles to my family and friends. Your articles are full of good information;, just the kind that is hard to find. Thanks Rita, I appreciate that. Mike, great idea. We have a produce farm and plant in plastic rows with irrigation tape under the plastic. Then we staple down 36″ barrier between the plastic rows. This has been working for us for many years. At the end of the year we pull the staples and roll it up And put it away for the following year. The fabric is good for many many years. Thanks for your input, if it works for you it should work for anybody! What is the composition of that weed barrier fabric? I grow things organically and if there is plastic in it, it has the Bis-phenols that leach out, which means I can’t use it. I enjoy your emails very much. Many Thanks . You’d have to look that up on the manufacture’s site.